Even a small accident can scare the bejesus out of you. You don’t see it coming. Then, you are sliding and spinning to the sound of crunching metal and smoking rubber. It’s not something you will ever forget. And, if the airbags deploy, the smell of gunpowder and latex will stick with you too. With some luck, there are no severe injuries. As we lose our peace of mind, we may also lose our beloved car. Indeed, life can hand us lots of changes after a car accident. Once our car goes through inspection by an adjuster, we may learn it is a total loss. And, if we do not agree the damage was severe, it can be more than surprising. This may be especially so if the car is still driveable. 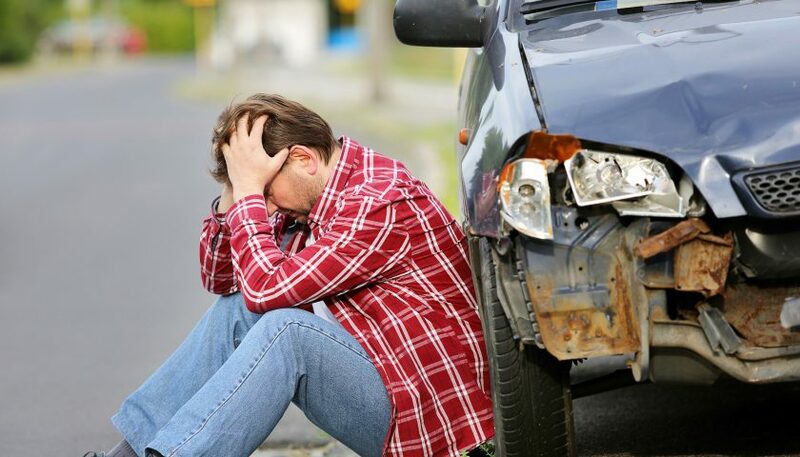 What does it mean if a car is totaled? Can we disagree and get another opinion? Do we have any recourse? What are our rights? Many may believe an adjuster renders an opinion on car repairs. But, some mandates are in place for the insurance company. After determining fault (from police and eyewitness reports), insurers must provide inspections. Inspection may include pictures from the accident or in-person at an auto body shop. Let’s say there is damage to the front end. The assessment will consist of body, engine, and glass damages. Keep in mind your insurance policy is a legal contract. And, insurers must follow state and federal regulations. If there are any questions about inspections, get professional advice. A common claim is windshields. If a rock cracks your Mercedes windshield, plan on $1700 for the replacement if you don’t have coverage. Or, if your Nissan Altima needs new doors due to smack from a shopping cart, they’re $3400. Each. These are a few examples of why more cars are a total loss than ever before. We can look no further than the skyrocketing costs of the parts. In seven years, costs to repair vehicles have increased almost 70%. Using simple math, replacing key parts of any car can surpass the total value of it. And, labor costs are extra. Many cars end up in the total loss graveyard, even when owners fail to see how. Once the insurer establishes the cost of parts, the cash value of your vehicle is necessary. The factoring will determine the cost of repair versus what the car is worth. Each state has a threshold on which the insurer relies. For example, if you live in Florida, Missouri, or Oregon, it’s an 80% guideline. If the cost of repairing your car reaches 80% of its total cash value, the insurer can deem it a total loss. North Carolina residents can check Amistad Insurance Services for their state’s information. Who Determines the Cash Value of Your Car? Though we may think of the cash value of a car like the Blue Book amount, this is not what the insurer uses. Most use a software program to determine value. This, along with some cursory searches for like cars in your city or state. The value should equal the amount you would receive by selling it before the accident. And, many who go through the process of a total loss claim say this is the most frustrating step. Insurers will elicit a third-party estimate of the value in some cases. But, many times car owners receive an offer they feel is too low. If they still owe money on the car, for example, the proposal may not cover the loan. Much less give them the means to buy a new one. So, many car owners end up with a lesser-type car than before. What Does it Mean if a Car is Totaled but You Want to Keep it? Some car owners place sentimental value on their car. Though this is not a consideration for insurers, it is universal. And, in some states, owners can “buy” the car from the insurer. Totaled vehicles go to salvage yards for scrap. So, the insurer can estimate the scrap value and deduct it from the settlement. Then, the owner receives a check for the claim, and they keep the damaged car. Of course, any repairs on the car are out of pocket for the owner. And, the car will have a “salvage” title. These are difficult to value or sell. Purchasing a new car with 0 down or a lease option can put anyone on the short end of the total loss stick. As soon as you drive off the lot, your car is upside down in equity. And, you can protect yourself from losing with very little homework. Getting the proper coverage will save you time, money, and frustration. Many insurers offer vehicle replacement policies. They will replace your car no matter the value or loan amount. Gap insurance is protection for lease or new vehicles. The policy covers the loan amount as well as a settlement for you. Both of these type policies are affordable and well worth the extra dollars. Also, the settlement your insurers offer is negotiable. If you feel it is unfair, say so. If you can document recent repairs or upgrades, inform the adjuster. If you are unable to reach an agreement, checking with legal counsel is a good idea. They can outline your rights and state laws, and represent you if necessary. We have advice for your motor from DIY repair to the best maintenance tips for motorcycles. Check out our blog and learn more. Previous Post:5 Common Audi Repairs That You Can Do!